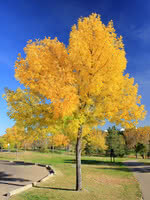 White Ash is a large deciduous tree that's often grown in residential yards and along boulevards. 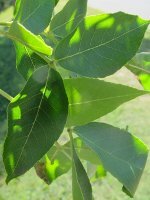 Similar to Green Ash, White Ash is distinguished by the lighter colour of the undersides of the leaves. While Green Ash turns gold in the fall, White Ash turns a gorgeous burgundy.